Born in Sydney in 1974, Lowry makes her paintings using an airbrush and a limited palette of soft, pastel colours. She won the 2008 Doug Moran National Portrait Prize. This is her third time in the Archibald Prize. Last year she was highly commended and was a finalist in both the Wynne and Sulman prizes. This year she is also a Sulman finalist. This year, the 93rd year of the Archibald Prize, there were 884 Archibald, 669 Wynne and 534 Sulman entries. The Archibald, Wynne and Sulman Prizes are major art prizes run by the Art Gallery of New South Wales. The Archibald Prize is a portrait painting prize, with $75,000 going to the winning artist. It is Australia’s oldest art award and entries must be painted in the past year, from at least one live sitting with the artist. The $35,000 Wynne Prize is awarded to the best landscape painting of Australian scenery or figure sculpture, while the $30,000 Sulman Prize is given to the best subject painting, genre painting or mural project in oil, acrylic, watercolour or mixed media. The winners of the Trustees’ Watercolour Prize and the John & Elizabeth Newham Pring Memorial Prize (both part of the Wynne Prize) receive $2000 and $250 respectively. 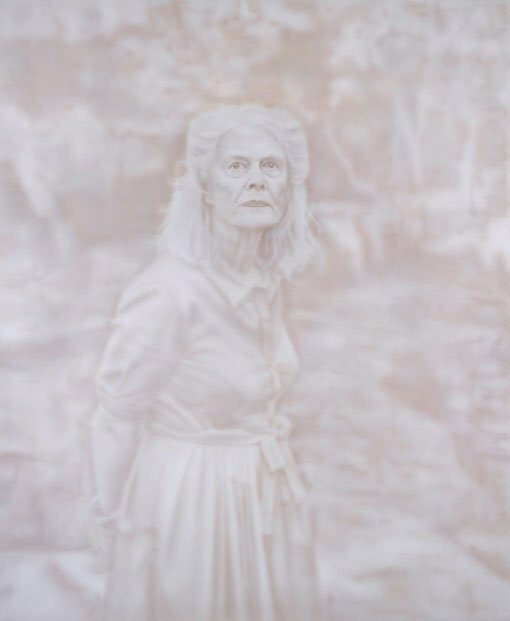 At Art After Hours this Wednesday 23 July, join us for a special celebrity event at 6.30pm when ABC Classic FM presenter Margaret Throsby will interview Fiona Lowry, the 2014 Archibald Prize winner.